Performance artist Wanda Raimundi-Ortiz discusses her Reinas series and why she channels queens. UCF and Valencia College broke ground on a new partnership campus. UCF unveiled a new mural dedicated to the two Knights who were killed at Pulse. 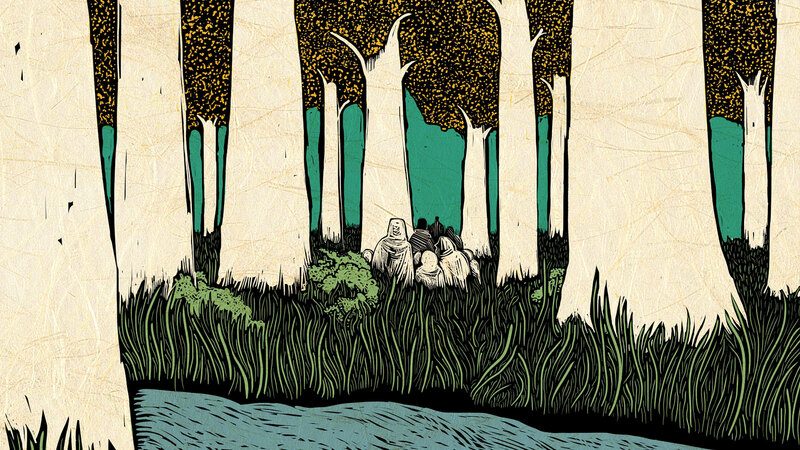 Graham Judd ’09 brings the plants of Tolkein’s Middle-earth to life in a new book. How a moment of creative inspiration has fueled President John C. Hitt’s 25-year tenure at UCF. From art classes to UCFastival and Holi, the UCF campus during the Spring 2017 semester was a vibrant, inspiring place to be. A popular class breaks down how our brains respond to music. UCF faculty explore the idea. Sam Borkson ’01 creates art to inspire friendship with the world. Head coach Johnny Dawkins recalls five defining moments from the men’s basketball teams’ turnaround season. Pegasus, the UCF symbol, soars among the stars in a new mural by local artist Boy Kong. Central Florida is becoming a hotbed of artistic activity and UCF grads are at the center of the creative boom. 1 prompt. 6 writers. 150 words or fewer. The UCF-Orlando Jazz Festival brings jazz legends to the Central Florida area. Limbitless Solutions’ bionic arms highlight each child’s passion and personality. UCF Celebrates the Arts takes creative work from the classroom to center stage. Robert Venditti ’01MA and the roundabout way he’s achieved success as a writer. Each piece of public art at UCF tells the story of the people who make these works available to the public. 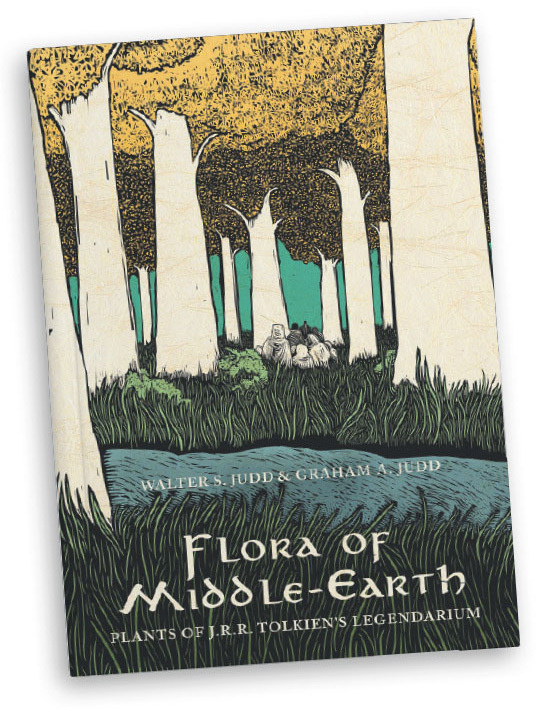 UCF art alum Graham Judd ’09 co-wrote and illustrated Flora of Middle-earth: Plants of J.R.R. Tolkien’s Lengendarium with his father Walter S. Judd, a botanist and distinguished professor emeritus of biology at the University of Florida. The book is a detailed account of the more than 160 plants found in Tolkien’s fictional universe and includes original hand-drawn, woodcut-style illustrations by Graham. This was project was the brainchild of my father and me for quite a long time. As we are both massive fans of Tolkien’s world, it only felt natural to use our skills to create something we were both passionate about. What’s it like to bring Tolkien’s universe to life visually? Challenging. Tolkien’s world has been depicted in movies and cartoons as well as board and video games. Trying to illustrate something that is so cherished and well-defined is intimidating at best. In the illustrations, I worked to define concepts and events more than details, leaving room for the viewer’s imagination to create definition. What’s your favorite plant from Middle-earth and why? I love the Mallorn trees (depicted on the cover), and what they represent. As a child, Mallorn trees represented this mystical, untouched world, and were the symbol for elves and knowledge and the ancient world. I loved everything about the wood elves, and I often pretended the woods around our house was the Galadriel forest. Alone deep in the woods, I still often get this weird feeling like there is an unseen force. I don’t know how else to translate it, but I can feel it. 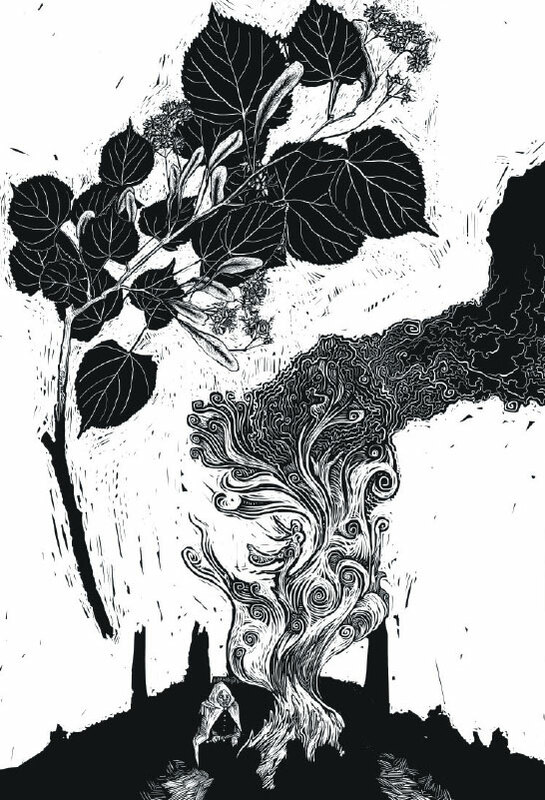 My favorite plant to illustrate for the book was the linden tree because picturing the silhouettes of the hobbits entwined in Aragorn’s story as they await the attack of the Black Riders is both fun and visually enchanting. What has been the most interesting part of illustrating Middle-earth? I remember watching an episode of the X-Files as a kid that takes place in Ecuador, and my dad told me as a brief aside that those plants were native to the L.A. area — not the jungles of South America. It completely sucked me out of the narrative. After working on this book, I finally understand our cultural blindness to plants. People don’t really pay attention to how a pine tree’s branches are different from a fir tree’s, and before this project I didn’t either. Things that used to feel needlessly descriptive now enrich my imagination.